B-Balance replaces important minerals and additives commonly removed by protein skimmers. Red enhancement in Stylophora, SPS and Pocillopora corals. B-Balance contains important minerals and additives, particularly those that are partially removed by protein skimmers. This product is particularly effective helping maintain hard to keep species like cespitularia spp. 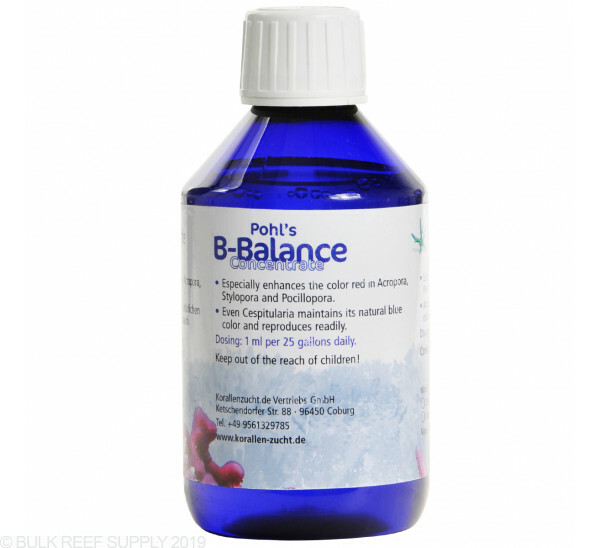 Supplementing B-Balance has also been shown to bring out intense red and pink coloration in SPS corals. Recommended dose is 1 mL per 25 gallons daily. Need to tune your red and pink acros? Try this! you'll be impress! I see an improvement in colours, esp the reds on the Acro and BN! The affect only takes 4-5 days to see the difference. Highly Recommended! I see no difference in PE, color, growth...anything really after using the entire KZ line. My tank is full of SPS, all with good color, good health and growth. We've all seen the photos of pastel tanks....not the case IME with these products. They haven't done anything of note since starting the regimen. I have been using this products for 4 months now and my SPS colors are awesome! Montipora coral colors have improved significantly. I've noticed a definite increase in red and pink colors in certain acros. It has also seemed to help with purples to an extent, though not as obvious as red/pink. 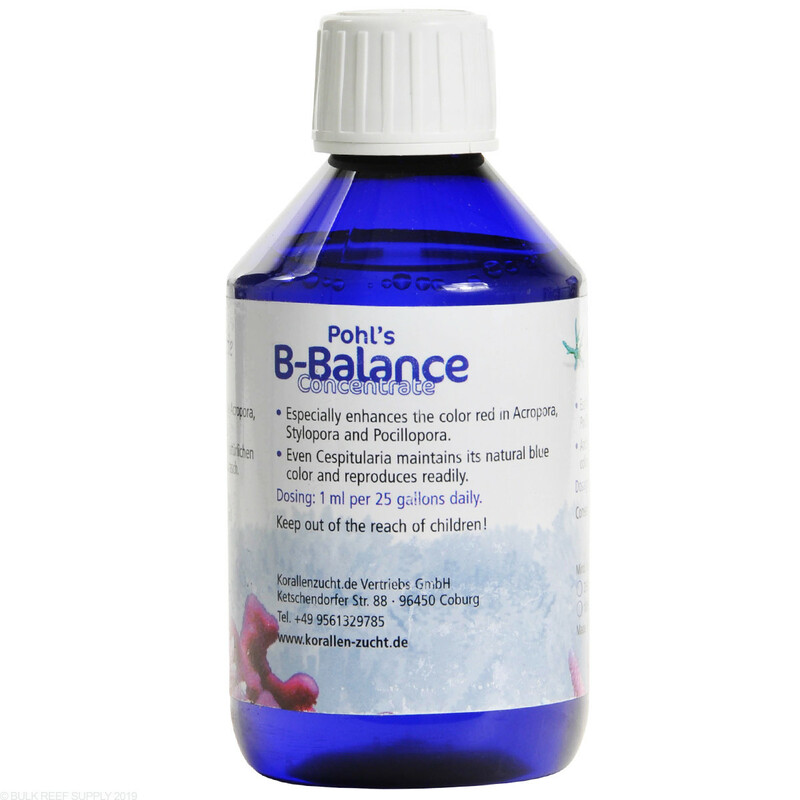 After going through a bottle of this B-Balance I have to say the results are pretty underwhelming. I didn't see any color change in my pocillopora, stylophora, or other SPS. I haven't observed any difference between when I dosed this additive versus when I did not.